The inspiration for the Beast’s castle in the Beauty and the Beast Disney movie. 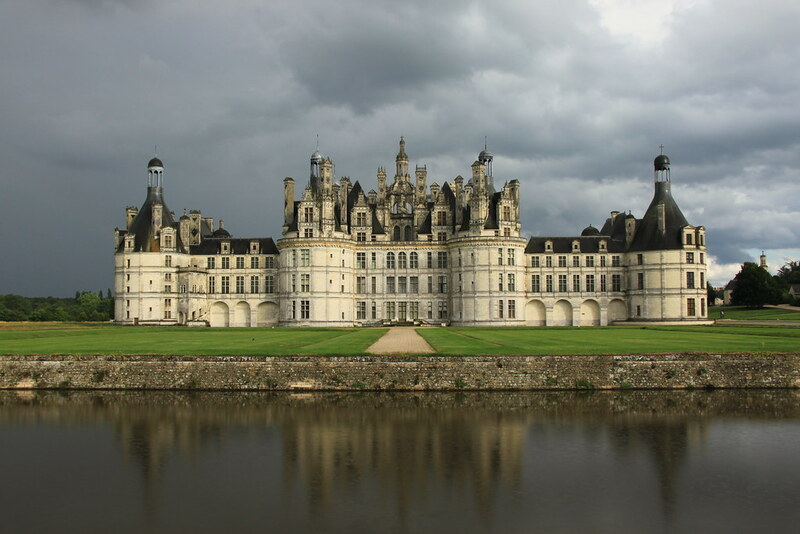 The Chambord Castle is located in Chambord in the Loir-et-Cher region in France and it was built in a French Renaissance style. It is one of the most distinctive castles in the world and it served as the inspiration for the Founder’s Building at Royal Holloway, University of London. Today, the castle has been restored and open to public. During WWII, art collections from the Louvre were moved to the castle and one can come to admire them along with the magnificence of the castle itself. It remains unclear and still a topic of controversy who designed the castle. Discussions have never, and will probably never cease, but some attribute the design to Domenico da Cortona and Leonardo da Vinci. Regardless of who designed it, its beauty is irrefutable and it remains one of the best examples of French architecture. The castle served as the inspiration for the Beast’s castle in the Beauty and the Beast Disney movie. The image of the castle has been used to seel chocolate, porcelain, clocks and many other artifacts.